The Jounal is the Quarterly publication of the Society. A PDF Reader is required to view or print The Journal. You may use Foxit, Nitro, or Adobe PDF readers, or you personal favorite. Cincinnati saw service by the CSX fallen flag railroads, Chesapeake & Ohio, Baltimore & Ohio, Louisville & Nashville and New York Central. 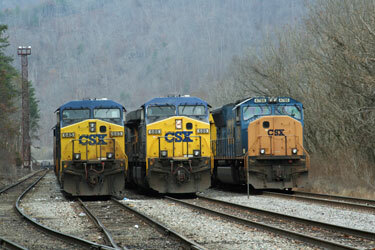 CSX remains a major player in the Cincinnati rail scene.